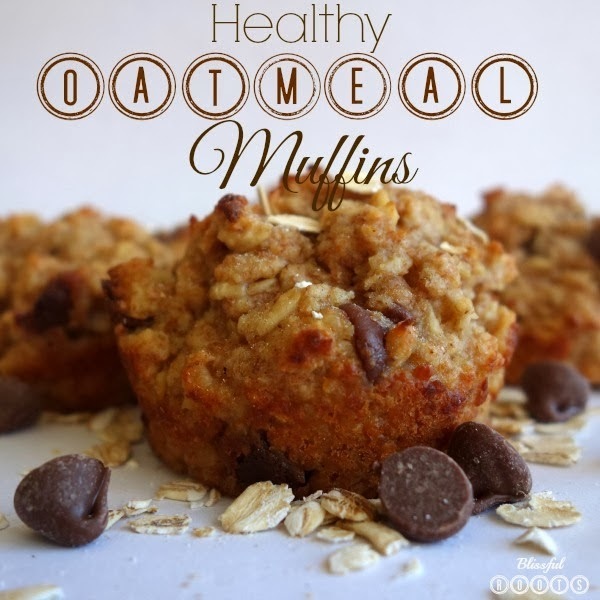 Here we are at week three of my Healthy Breakfast Recipes. If you didn't even know it was week three, and you're wondering what weeks one and two were, don't worry I'll have links at the end of this post. I promise you'll want to check them out. They're both amazing! 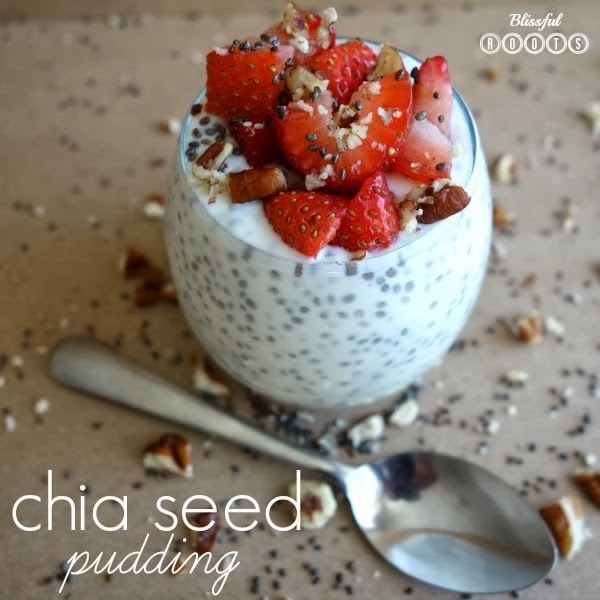 As are today's healthy breakfast recipes. The recipes for today are reposts, but with a few new additions. We really like yogurt at our house for breakfast. My boys eat it every morning, and never tire of it. My husband takes it to work for a snack every day. I love it any time of the day. Here are two of our favorite ways to enjoy yogurt, fruit, and granola. 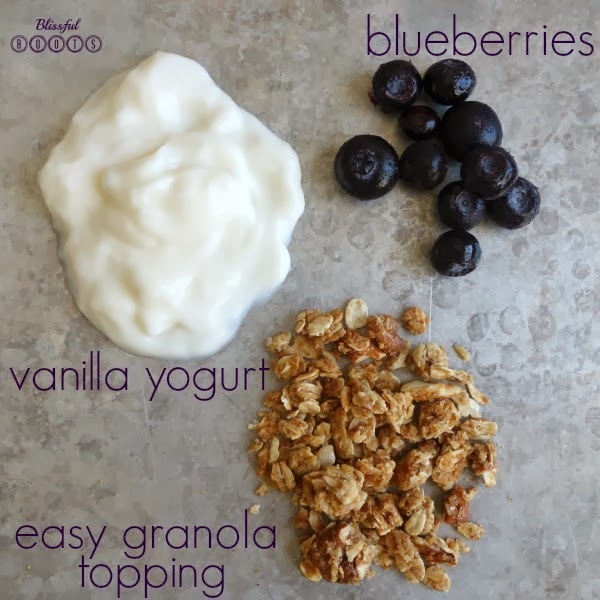 The first combination we love is this easy granola topping with fresh (frozen works too) berries (strawberries, raspberries, blueberries, and blackberries are our favorites), and light vanilla yogurt. One of the big downfalls of yogurt is the sugar content. Maybe you already know this, but have you ever checked out how many grams of sugar in one regular 6-ounce container? Most of them have around 30 grams. That's a ton of sugar! I've heard before that a good rule of thumb is to not eat anything with more than 10 grams of sugar per serving. Thirty totally blows the ten out of the water. So, I try to find ways to get my boys to eat light yogurt (I'm still working on my husband). They will actually eat the Kroger Light Vanilla (I buy mine at Smith's) without anything on it, but I like adding the berries and granola on top for extra nutrition. All of my boys devour this every single time! 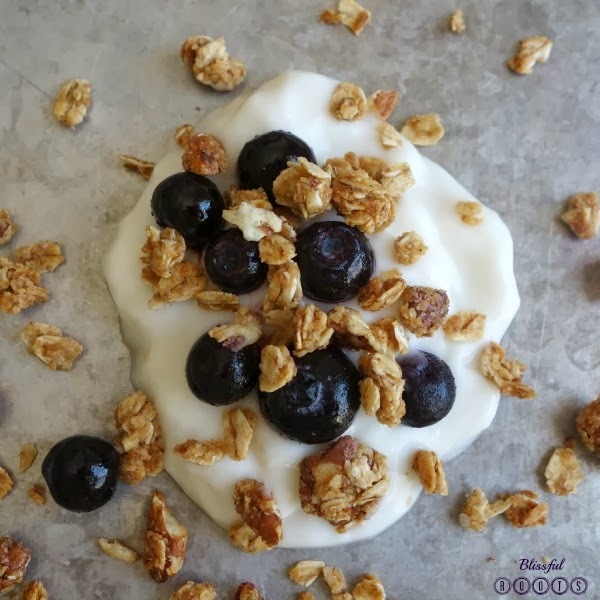 This granola topping only has 5 ingredients (oatmeal, almonds, and wheat germ just to name a few) and is totally healthy and simple to make. Click here for the recipe. 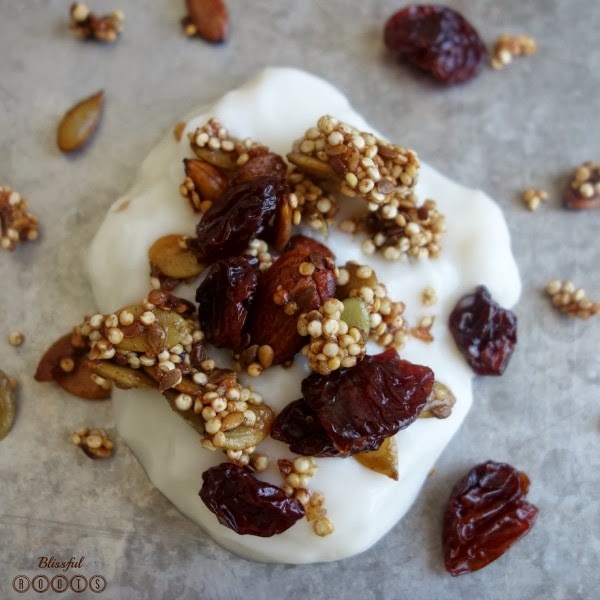 The second recipe is a quinoa-pumpkin seed granola with Greek yogurt and dried cherries. I posted this recipe last year after my sister had us try it for the first time. A year later, we're still eating it, and loving it! I love that my young boys will eat this. They devour the Greek yogurt (which I wasn't sure if they'd like or not) and the granola, and the cherries. I was totally surprised they liked this granola. 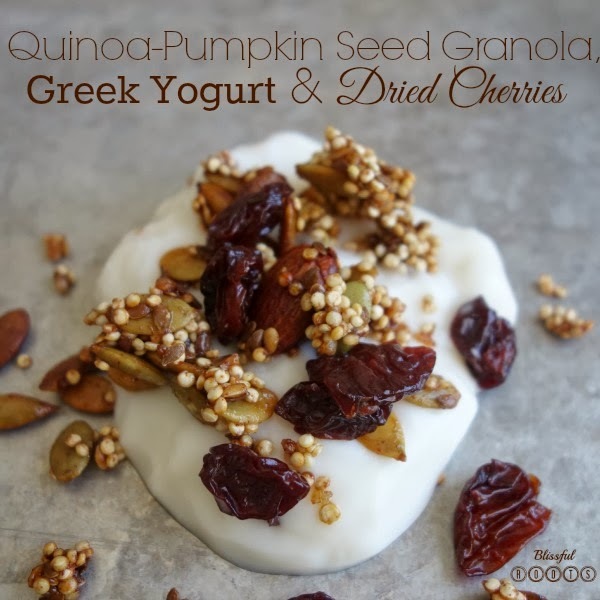 There's all things healthy in it (quinoa, pumpkin seeds, flax seeds, almonds), but it does have amazing flavor, and when you pair it with the cherries and Greek yogurt, the combination is so yummy, so satisfying, and so healthy! BTW, we use vanilla or plain Greek yogurt. If you've never been able to eat Greek yogurt, try this. 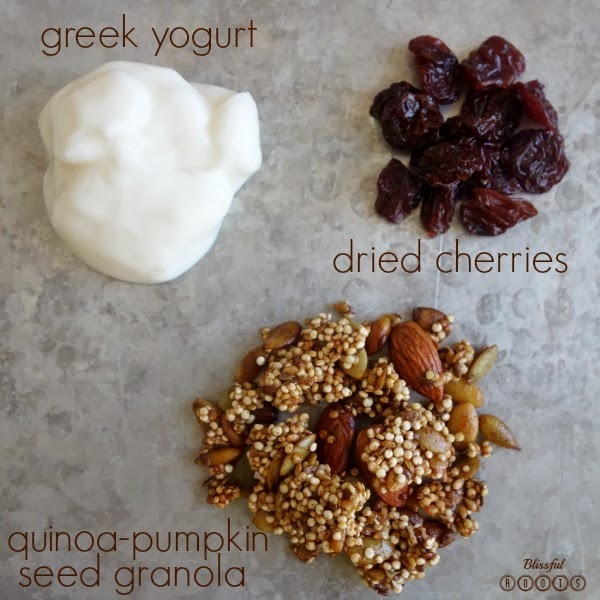 I can't do Greek yogurt alone, but it's delicious with these toppings! 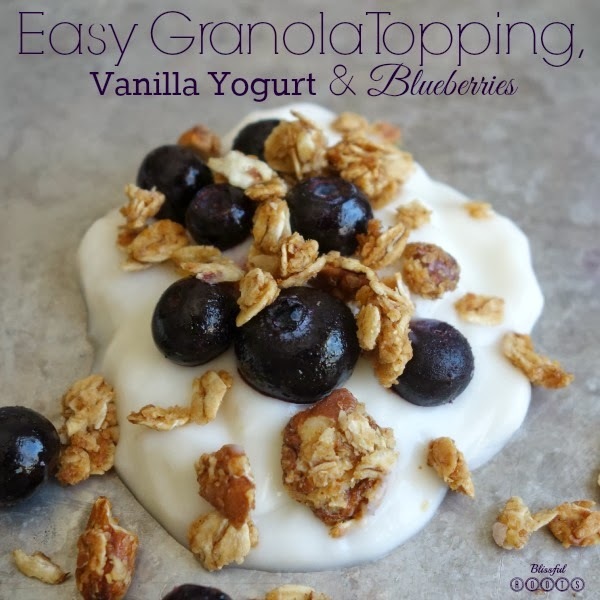 Click here for the granola recipe and to see the brand of Greek yogurt we like. So, there you have our favorite healthy ways to eat yogurt with toppings in the morning. Both are great ways to start your morning. How do you like your yogurt, granola, fruit, or all of the above? I'd love to add to our collection. We love these, but more options would mean more variety. And here are the links to weeks one and two recipes. This absolutely has to be super delicious. I will be trying this. I really enjoyed this inspirational post. I would love it if you would share this post at our WIW linky party? Hope to see you there!